After graduating from senior high school in 2002 at age 17, Mars decided to leave Hawaii for Los Angeles. Throughout his first few years in California, he struggled to make a development in the music industry. 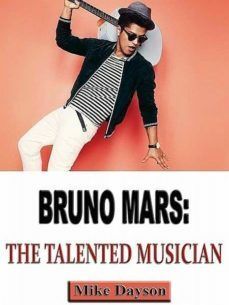 And particularly due to the fact that he had performed so often while growing up in Honolulu, Mars expanded frustrated with waiting for his occupation to progress. It was during this duration that Mars first relied on songwriting. "I just started composing songs when I went up to L.A., because when I was in Hawaii I never ever really had to," he remembers. "But it came from simply finding out that you need to do everything by yourself. Its not like what you see in films, where you walk into a record business and youre given all these terrific songs to sing. You need to write the tune the world is going to wish to hear and play it over and over again.